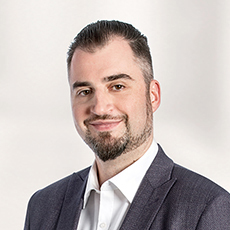 Jason Moscovici is a Lawyer and Biochemist with ROBIC, LLP in Montreal, Quebec. He has a general intellectual property practice and specializes in Regulatory Affairs. His legal and scientific background allows him to counsel clients on both their IP and compliance needs; which may include matters relating to litigation, trademarks, patents, copyrights, industrial designs, licenses, trade secrets, plant breeders’ rights, compliance in regulated industries, advertising, marketing, dealings with Health Canada ). Jason is also a go-to legal advisor to the Canadian cannabis industry and is often solicited to give talks and provide opinions on the many hurdles and opportunities that the stakeholders in this industry face. Jason sits on the life sciences committee of the firm.